MEXICO CITY—A year on from a devastating earthquake that struck Mexico City and killed dozens of people, hundreds of buildings are still uninhabitable and many of their former residents remain homeless. At 1.14 p.m. on Sept. 19, 2017, the anniversary of another devastating quake in 1985 that claimed tens of thousands of lives in Mexico City, a 7.1 magnitude tremor shook the center of the country, killing about 370 people. 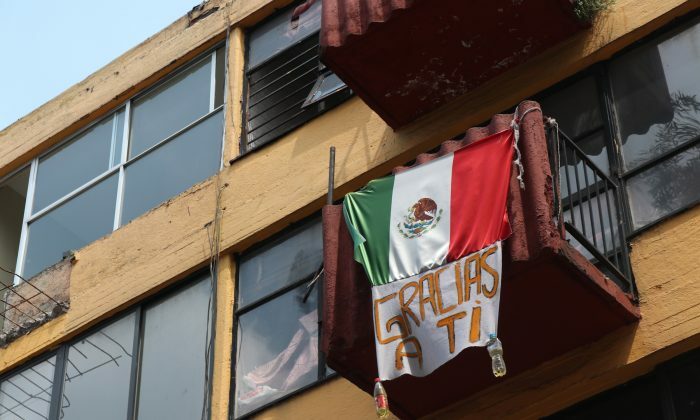 In the capital more than 430 buildings either collapsed or have been demolished in the 12 months since, according to Plataforma CDMX, a government body set up to survey and categorize structures following the quake. More than 1,000 buildings that are still standing remain at high risk of collapse according to data gleaned through reports and structural analyses filed on the Mexico City government portal by affected residents, many of whom have been forced to abandon their homes. 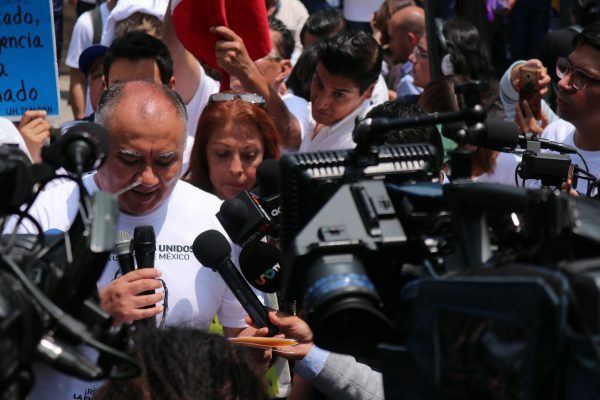 Movements in support of “los damnificados”—”the victims” or “the people who have suffered a harm,” as those made homeless by the quake call themselves—have sprung up across the capital. 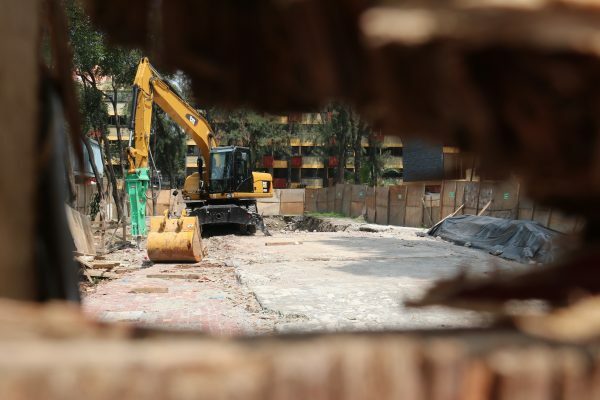 One of the most prominent are the damnificados of Multifamiliar Tlalpan, a housing development in the south of the city which was once home to 500 families, according to citizen watchdog group Mexicans Against Corruption and Impunity. During the earthquake, housing block 1C of the development collapsed completely, killing nine people and trapping 18 others who had to be rescued. 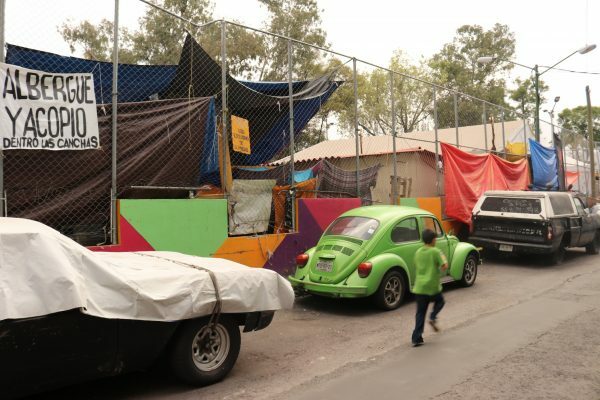 A number of the 2,000 people who once lived in Multifamiliar Tlalpan haven’t been able to find permanent housing, surviving under tarpaulins in a makeshift camp at the edge of the development. With the rest of the blocks declared uninhabitable, residents are still waiting for work to be carried out in order to make them safe. A demonstration to call attention to the plight of the damnificados on Sept. 19 stopped all five lanes of traffic northbound on Tlalpan, one of the busiest roads in Mexico City. 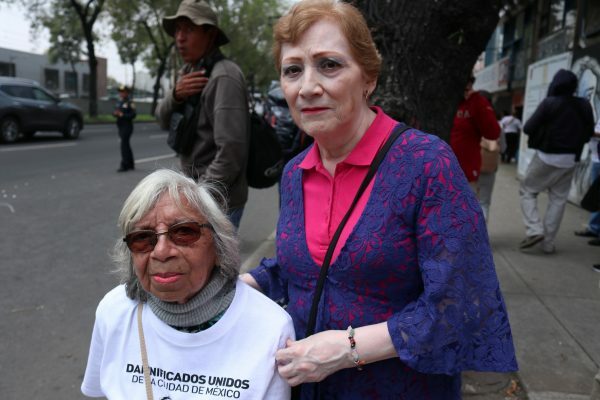 María de Pilar Castro Rivera, 83, had to move out of her apartment at Multifamiliar Tlalpan and now rents a small room nearby for 4,100 pesos ($218) a month. Sitting on a plastic stool by the roadside during the demonstration, she was wearing a white “Damnificados Unidos de Multifamiliar Tlalpan” (Multifamiliar Tlalpan Victims United) t-shirt given to her by one of the volunteers. “My apartment now costs a lot of money because it’s very small but the owner is a very good person. She gave me a sweater, some gloves, and a scarf recently when it was cold. She paints my nails too,” the retired company secretary said. But she added that she would love to move back to the development and the community she once called home. For its part, Mexican President Enrique Pena Nieto’s office issued a statement saying the government had provided aid to help rebuild 166,000 homes of more than 169,000 that were damaged, mostly in the south. There was no comment on the thousands who remain homeless. Héctor Toledo Sanchez lives four blocks away from the Multimfamiliar Tlalpan but has been a key volunteer in the damnificados movement in the area. The 40-year-old said some technical studies of the development were done a few months after the earthquake in November and December of last year, so work could start on making the remaining apartment blocks safe. “Unfortunately the whole process has been prolonged by the inactivity of the authorities. They understand it’s an emergency but not a disaster,” Sanchez said. Sanchez added that those in the camps live in difficult conditions, with limited toilets and showers available. 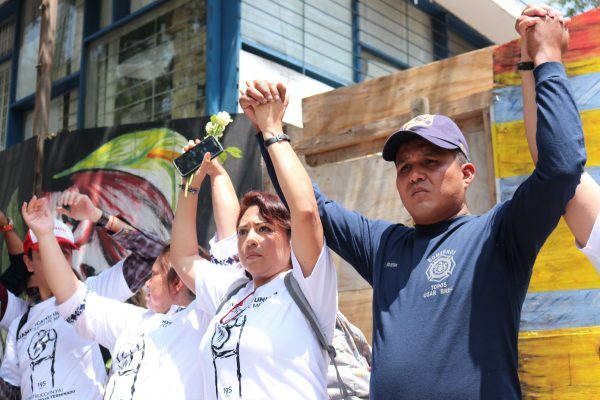 Some at the demonstration were mourning loved ones, like Christian García Guzmán, 37, who lost his sister Viridiana Lucero, “Vivis”, aged 29, when building 1C collapsed. “It has been a very sad time since losing my sister, the youngest in the family. I believe she was the best person of all of us,” he said. The DJ was at home a few miles away from Multifamiliar Tlalpan when he felt the quake. “We felt the tremors very strongly and afterwards my mother’s face went white and she kept shouting ‘Vivis! Vivis! Vivis,” he said.